LOOKING AHEAD. 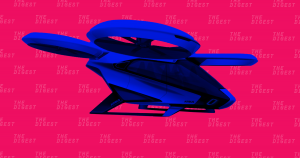 The Japanese government sees flying cars as the panacea to some of the nation’s traffic issues — the vehicles will decrease congestion, boost tourism, and increase access to remote areas. TEAM FLYING CARS. Twenty-one companies and organizations have joined a Japanese government-led group designed to lay out the roadmap to flying car adoption in Japan. Amongst those are some of the biggest players in the space, including Uber, Boeing, and Airbus. Delegates from each group member will meet on August 29 to figure out a plan that will get flying cars to Japan in the next decade.